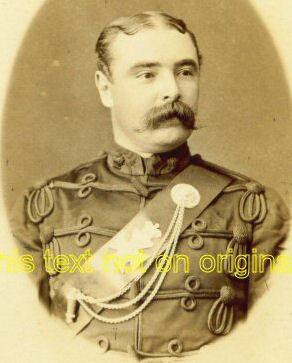 (2) Major Robert George Teesdale Baker-Carr (1867-1931); entered Rifle Brigade 1888; Captain 1893; Major 1904-1906; ADC to Lord Elgin 1894-1899 & Lord Curzon 1899-1905, Viceroys of India. 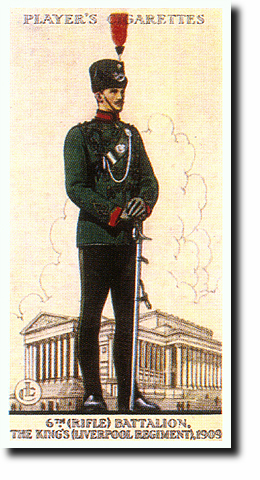 Tunic- Rifle green cloth edged all round, except the collar, with black square cord. Scarlet cloth collar and cuffs. 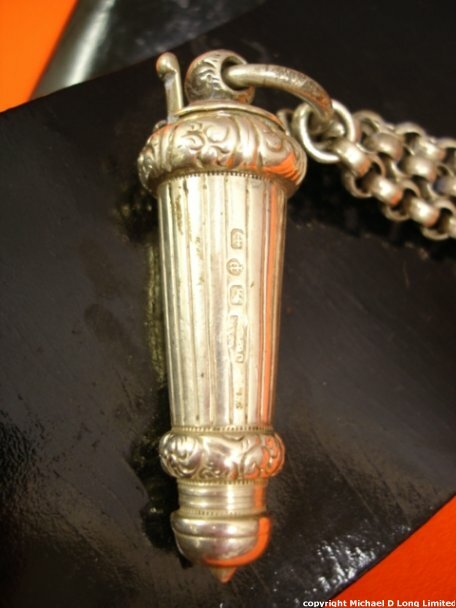 The collar rounded in front, 2 inches high, edged with � inch black braid: the cuffs pointed, and ornamented as described below, according to rank. 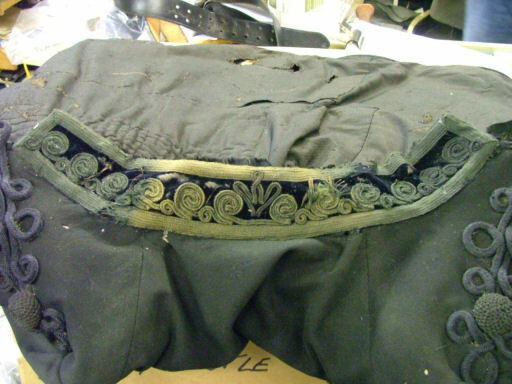 The skirt rounded off in front, closed behind, and lined with black. 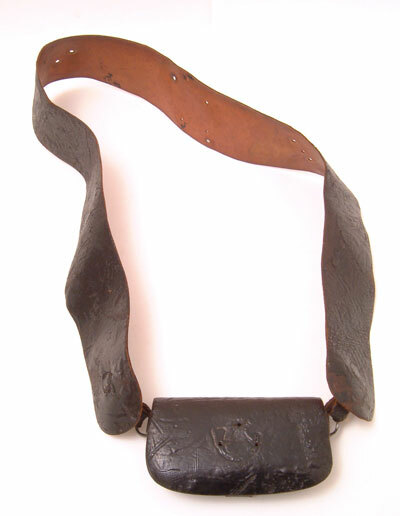 On each side of breast, 5 loops of � inch black square cord, with netted caps and drops, fastening with black Olivet�s. Top loops to reach to sleeve seams, bottom loops to be 4 inches wide. 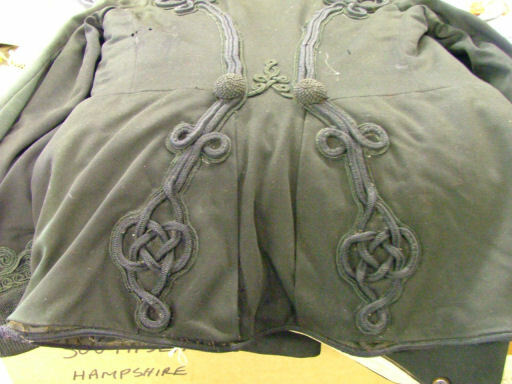 On each back seam, a line of the same cord, forming three eyes at the top, passing under a netted cap at the waist, below which it is doubled, and ending in an Austrian knot reaching to the bottom of the skirt. 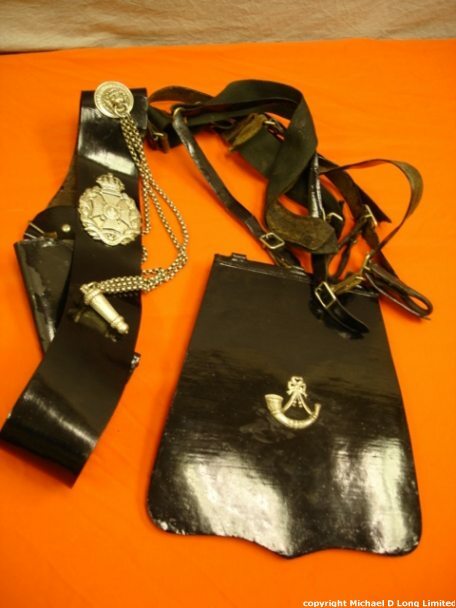 Shoulder straps of black chain gimp, with small button of regimental pattern at the top. Badges of rank in bronze. 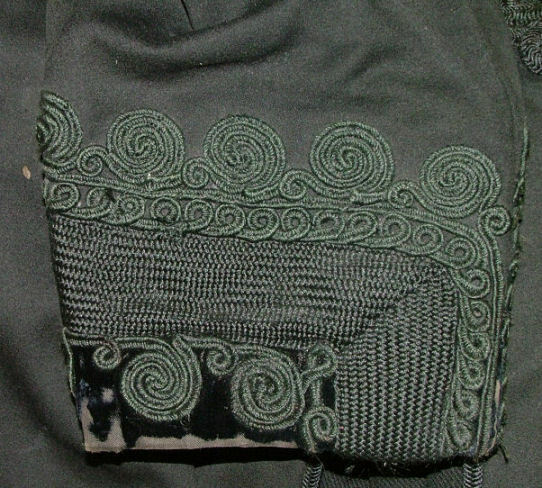 Field officers have figured braiding below the lace on the collar; and 1 � inch black lace round the top of the cuff with figured braiding above and below the lace, extending to 11 inches from the bottom of the cuff. 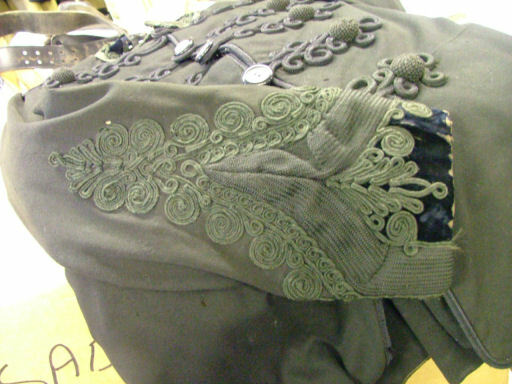 Trousers � rifle green cloth with 2 inch black braid down the side seams. 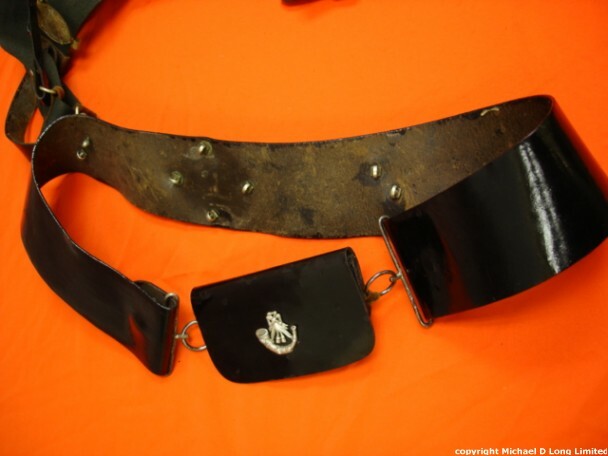 Sword belt slings � 1 inch wide black patent leather hung from belt worn under the tunic. 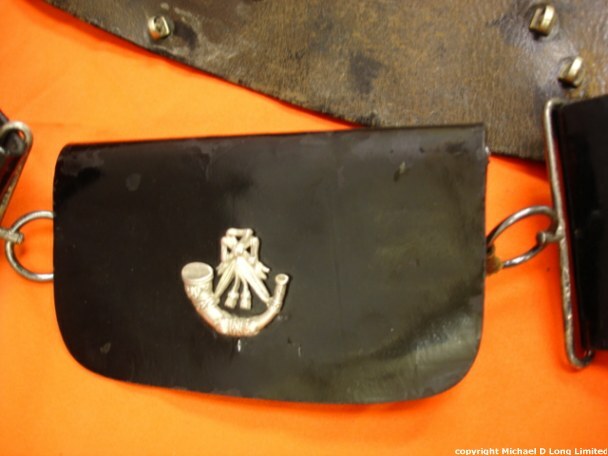 Pouch Belt � Black patent leather 2 7/8 inches wide with silver plate the same design as the helmet plate except that the bugle with strings is on a silver frosted ground; whistle and chains of regimental patterns. Pouch � Black patent leather with silver bugle on flap. On 8th July 1755 a column of British redcoats under General Braddock, advancing to take Fort Duquesne on the Ohio River were ambushed by the French and their Red Indian Allies firing from concealed positions. The dying General�s last words `we shall learn better how to do it next time`, sum up the reaction at home to this defeat, for within a few months a special Act of Parliament had provide for the raising of the 60th Royal American Regiment of four battalions of American colonists. 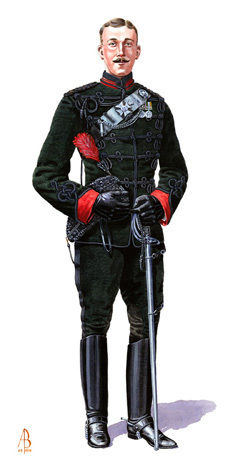 Among the distinguished foreign officers given commissions was Henri Bouquet, a Swiss citizen, whose ideas on tactics, training and man-management (including the unofficial introduction of the rifle and `battle-dress`) were to become universal in the Army only after another 150 years. 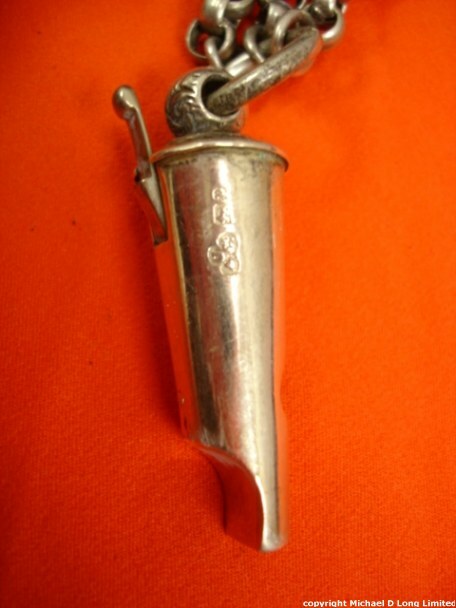 The new regiment fought at Louisborg in 1758 and Quebec in 1759 in the campaign which finally wrested Canada from France; at Quebec it won from Wolfe the motto `Celer et Audax` (Swift and Bold). These were conventional battles on the European model, but the challenge of Pontiac`s Red Indian rebellion in 1763 was of a very different character and threatened the British control of North America. The new regiment at first lost several outlying garrisons but finally proved its mastery of forest warfare under Bouquets leadership at the decisive victory of Bushey Run. Meanwhile, battalions of the regiment were engaged in the capture of Martinique and Havana and, being confined top Foreign Service until 1824, began an association with the West Indies which was to last almost continuously for over fifty years and include the capture of another eight islands. Two battalions fought in the war, formed a force of mounted infantry to increase their mobility and crowned a series of successful actions by repulsing an assault by the French and Rebels in Savannah in Georgia and capturing the colour of their Carolina Regiment. Neither battalion was present at the surrender at Yorktown, and they were withdrawn to Canada when hostilities ended. In 1797 a 5th Battalion of the 60th was raised under Baron Francis de Rottenburg, whose treatise on Riflemen and Light Infantry formed the basis of Moore`s training. 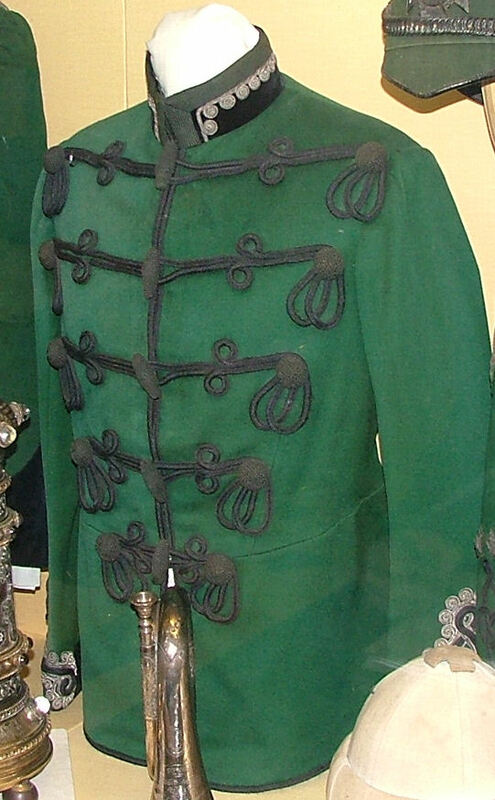 This was the first British unit to be dressed in the green jacket and armed with the rifle in place of the smoothbore musket and it represented the first British attempt at developing specialised light infantry for the European battlefield. When Wellesley landed in Portugal in 1808 5/60th was the first unit ashore at Montego Bay and at the start it was brigaded with the 95th to form a brigade of Riflemen. 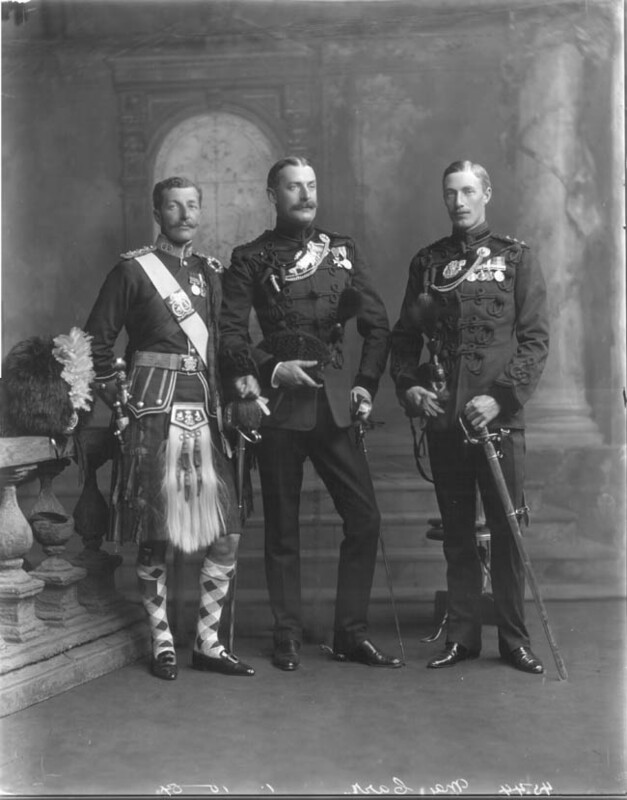 Wellesley`s standing orders laid down that these two units should always form the vanguard when the army moved. The rifle battalions fought in this formation at the opening battles of Obidos and Rolicabut shortly afterwards the Light Brigade was re-formed and Wellesley ordered the 60th in the 3rd Division to provide a company to cover each of the other brigades of his force. It was in this role that they fought the remaining battles of the Peninsula campaign, sixteen of whose names appear on the 60th list of battle honours. 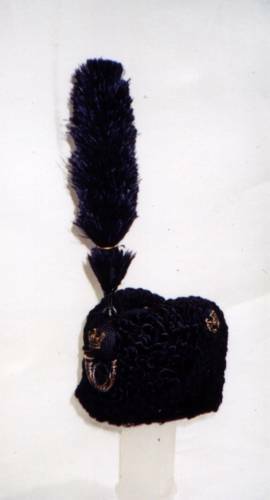 The defeat of Napoleon was followed by over thirty years of peace during which the regiment changed its title, first to The Duke of Yorks Own Rifle Corps, and finally in 1830, to The Kings Royal Rifle Corps (KRRC), though throughout its life it was often known familiarly as the 60th Rifles. 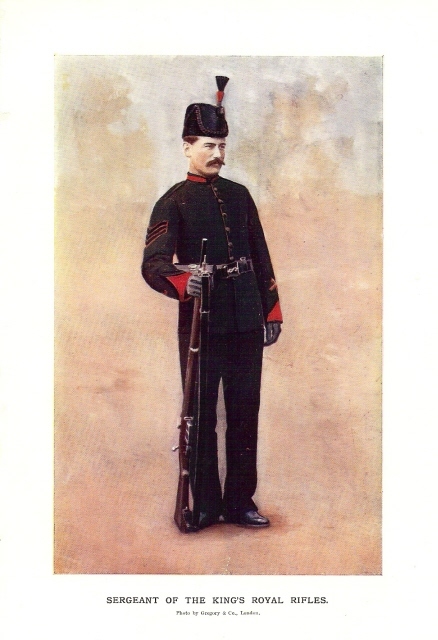 In 1858 the Rifle Depot was established at Winchester as a headquarters and training centre for the KRRC and the Rifle Brigade. 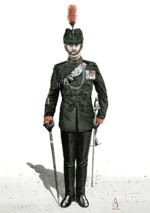 After 1848 the regiment was engaged in many of the Imperial campaigns which characterised the nineteenth century. The 1st Battalion at Mooltan Goojerat in the Sikh Wars and the 2nd in the Kaffir Wars in South Africa, where a detachment stood along side that of the 43rd at the sinking of the Birkenhead. 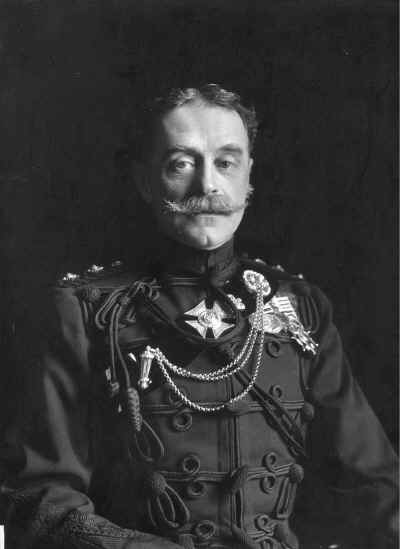 In the next thirty year the regiment saw service in China, Canada, Afghanistan, India, Burma and South Africa and the period produced another great innovator in the shape of Robert Hawley, who developed Bouquets principles of self-reliance and initiative particularly by encouragement of hunting expeditions as basic training in good Fieldcraft, while commanding the 4th Battalion in Canada. The outbreak of the Indian Mutiny in 1857 found the 1st Battalion at Meerut, where they narrowly escaped a plot to massacre them while unarmed at church parade. Having driven the mutineers from the town they marched under the command of Colonel `Jones the Avenger` to besiege Delhi. On the ridge outside the town they formed a lasting alliance with the Sirmoor Goorhas and in the final assault on the Kashmir Gate they gave covering fire to the 2nd as they stormed the breach before themselves taking the Royal Palace after six days of street fighting. 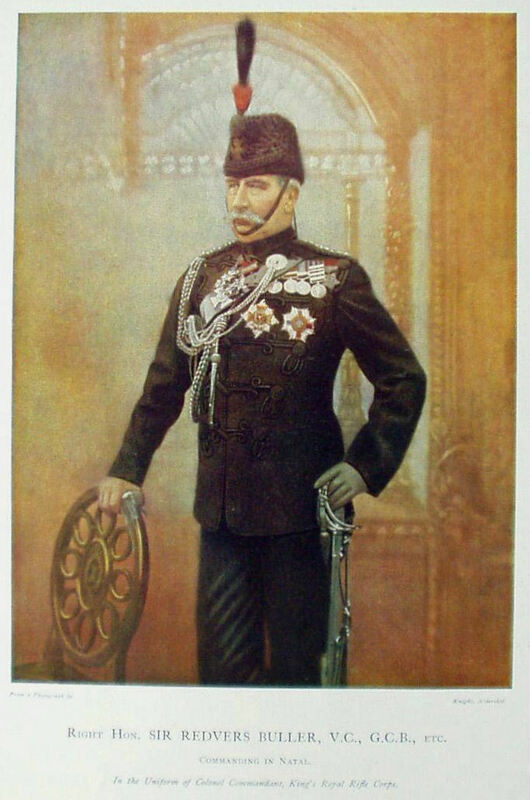 Seven VCs were won in the campaign in which the rear party at Meerut maintained the tradition for innovation by forming an elephant corps for pacification of the surrounding countryside. In 1897 the troopship Warren Hastings carrying the 1st Battalion from Capetown to Maurtius was wrecked on the island of Reunion. 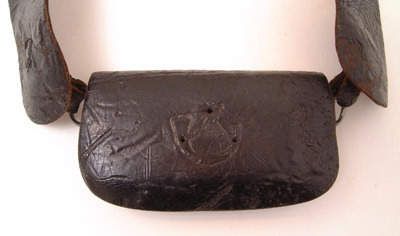 Discipline reminiscent of the Birkenhead was rewarded by the safe landing of the whole battalion over the rocks, and the ship�s bell and wheel are preserved in the regiment today to commemorate the event. 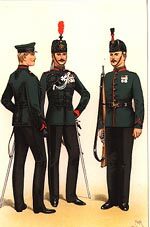 Three battalions fought the Boers between 1899 and 1902, their many actions including both the defence and relief of Ladysmith. At Talans Hill and Twin Peaks the `modern` infantry skirmishing tactics which the regiment had been practicing for 100 years were met with brilliant success while the constant quest for mobility led to the 60th taking a leading role in the development of mounted infantry; it formed a complete MI battalion and one of its officers founded the Mounted Infantry School at Aldershot. 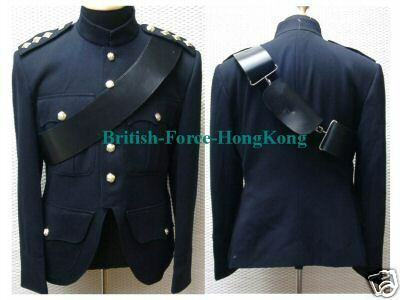 In 1914-15 the regiment expanded to twenty-two battalions, not counting those with training and reserve rolls at home. Fighting in the early months still favoured the traditional Rifleman�s skills of fire and movement and in 1914 at Hautesvesnes 1 KRRC used them to destroy a whole German battalion. The later stages were not conducive to tactical innovation, but marksmanship developed in peacetime was an invaluable asset at a time of ascendancy of fire over manoeuvre. The vast majority of the regiment�s effort was devoted to the Western Front, where it gained eight VCs, 2128 other decorations and seventy- one Battle Honours at a cost 12.824 dead. 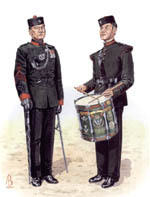 After 1918 the Service Battalions were disbanded and the Regulars returned to garrison duties and `peacekeeping` in India, Palestine and Ireland. 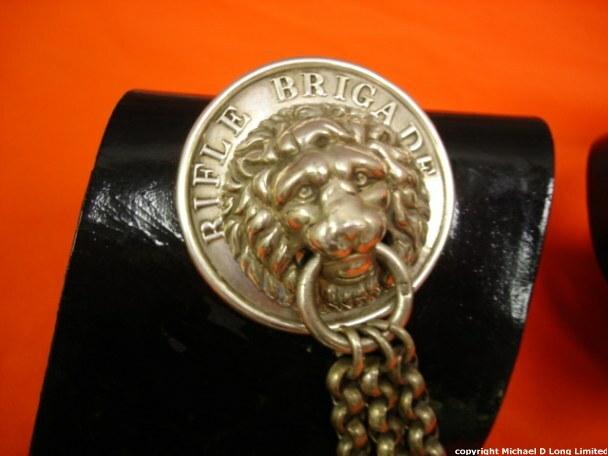 In 1926 the regiment was chosen for the first mechanised infantry trials, which were to lead to its reorganisation, with the Rifle Brigade, into motor battalions to operate with armoured brigades in time for World War II. The war opened disastrously with the dispatch of the 2nd Battalion together with 1st Rifle Brigade and Queen Victoria`s Rifles (an affiliated Territorial Battalion) to defend Calais and prevent German armour from interfering in the evacuation of the British Expeditionary Force from Dunkirk. For three vital days the force held on before being overwhelmed; the regiment had lost one of it�s two regular battalions as soon as the war started. Thereafter matters improved; motor battalions played a central roll in the open warfare of the North African desert, where mobility and initiative could make there mark. At Sidi Rezegh Rifleman Beeley won a posthumous VC in a successful attack by 1 KRRC against great odds. Once the desert campaign was won battalion fought on through Italy and North West Europe to Austria and Germany and also saw desperate fighting in Greece and Crete. The origins of the regiment were recalled early in the war by the incorporation of sixteen American volunteers before their own nation had entered the war. After service in Italy, Tripoli and Palestine the regiment was reduced to a single battalion in 1948 but the 2nd was reformed two years later, when both resumed their motor battalion roll in Germany. The 1st moved to North Africa in 1955 after celebrating the regiments bicentenary at Winchester, while the 2nd was again disbanded in 1957. 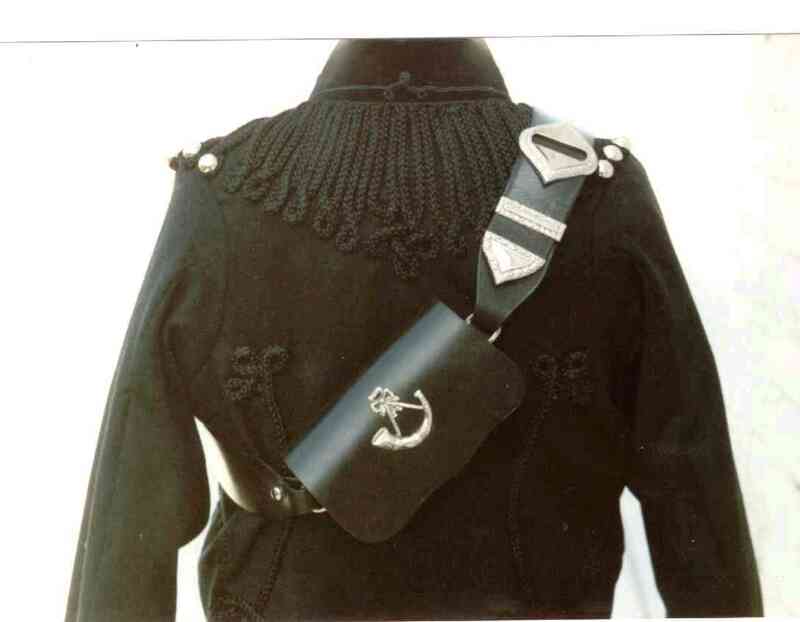 Finally, in 1958, the battalion joined the new Green Jacket Brigade with the title 2nd Green Jackets (The Kings Royal Rifle Corps). 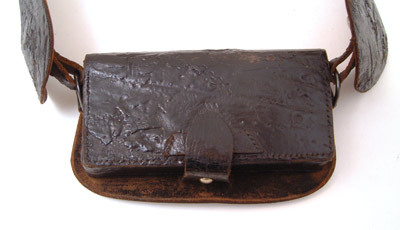 It took part in the Borneo Campaign in 1965. 1763 - 1764 Pontiac's Conspiracy in North America. TWENTY MEMBERS OF THE REGIMENTS HAVE BEEN AWARDED THE VICTORIA CROSS, Eight in the Indian Mutiny, one in the Zulu and Basuto war, one in Egypt, one in the Sudan war, one in The Boer war, Ten in World War One and One in the Second World War. 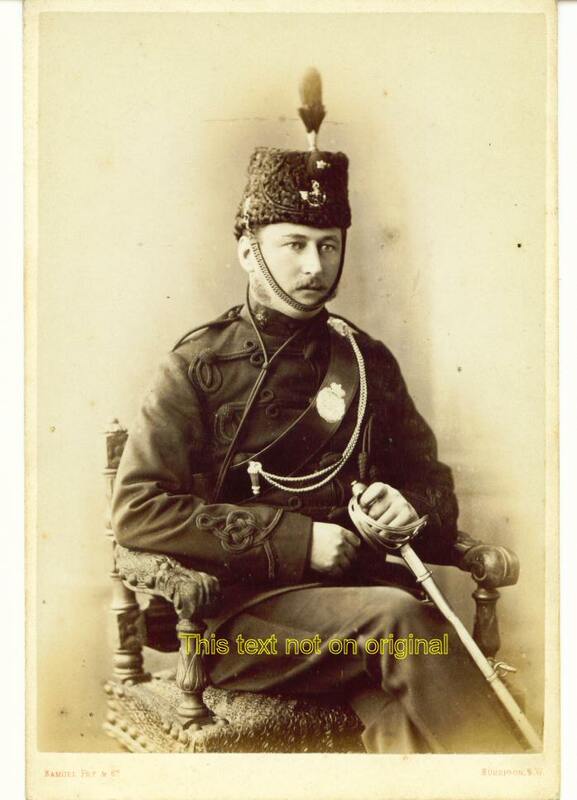 In 1871 the shako worn until then was replaced by a fur (racoon-skin) Busby with a bag and a plume in front; but this was replaced by a helmet later on, which, in its turn, gave place to a Busby of Astrakhan (lamb skin) for officers and sealskin for the men, with a black plume.